← Saturday night, collage night! 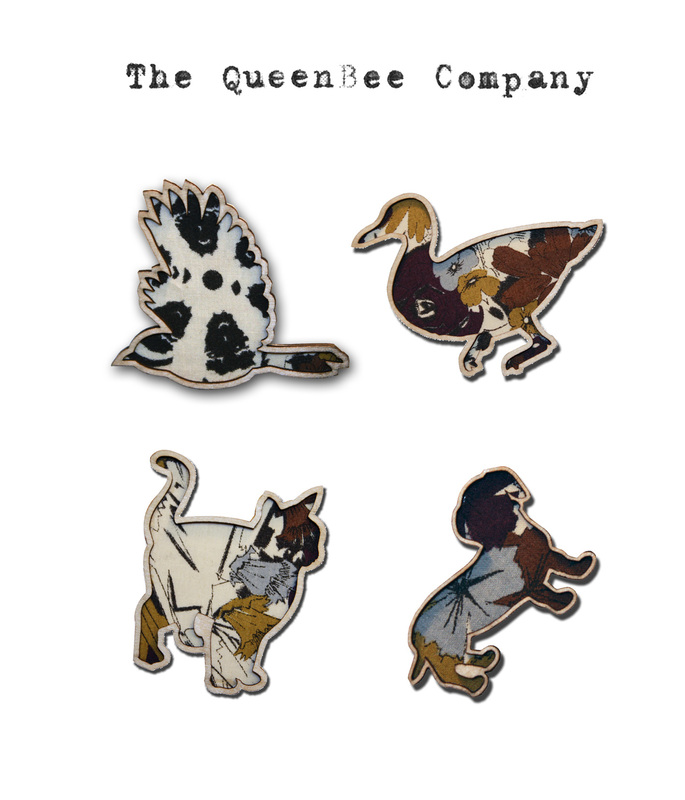 New kids on the block THE QUEEN BEE COMPANY have just made their website and are selling their new badges! Each badge is made by hand (timeconsuming!) from lazer-duck wood and Liberty print fabric. The animals are arranged on the fabric so that each one gets a different combination of colour and pattern -making every piece unique. The ranges are also limited edition. The Cupboard approves. This entry was posted in Uncategorized and tagged brooches, handmade, jewellery, lazer cut, the queen bee company. Bookmark the permalink.